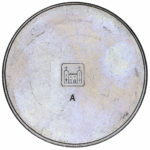 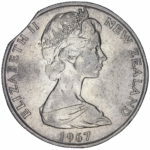 In 1971 the coins for circulation and for sets were made at two different mints. 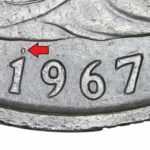 This resulted in small details being different between the mints. The The main difference between the Set and Circulating versions is the font used so the numbers on the date are different. 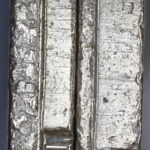 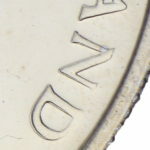 While taking photos of the 1984 circulating and set coin varieties I noticed that the set issues for 1984 have two different reverse designs. 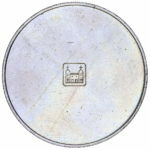 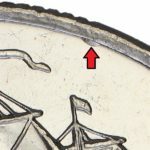 We can tell that both of these coins were produced for sets when we compare the obverse design as this was also different between circulating and set varieties. 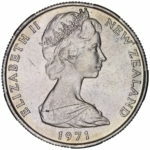 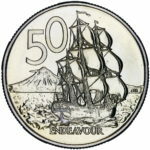 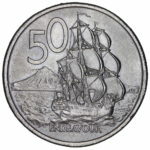 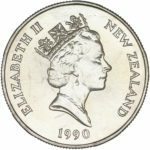 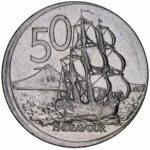 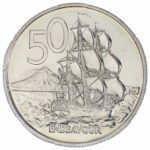 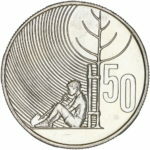 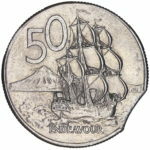 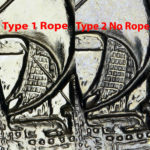 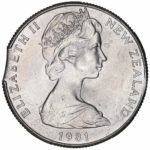 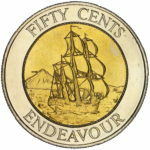 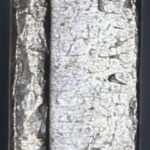 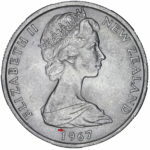 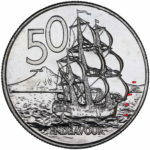 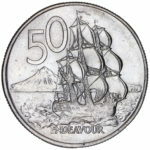 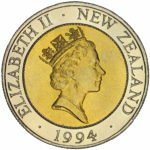 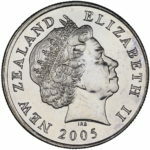 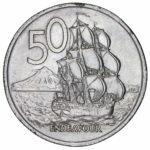 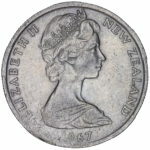 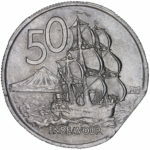 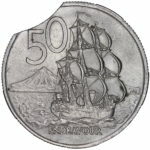 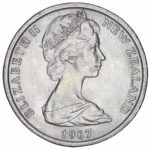 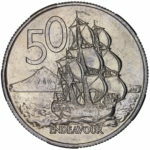 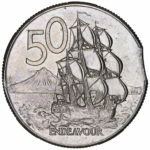 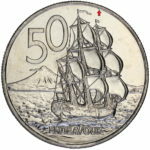 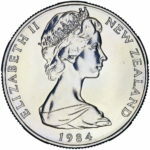 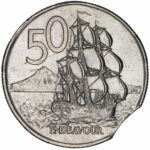 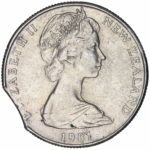 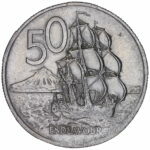 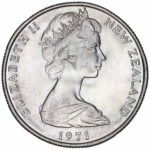 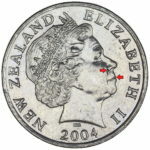 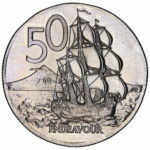 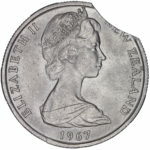 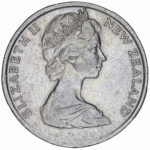 The difference in the reverse designs was noted in the NZ Numismatic Journal #76 December 1998 where it stated “The collector issues struck for the years 1984 through 1988 and 1990 through 1998 all include fifty cent coins bearing the Type 2 reverse (missing rope), as does the general circulation coinage for 1986 and 1987”. 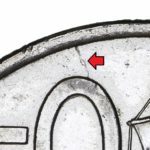 Detail on queen completely different between sets and circulation issues. 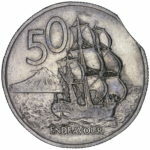 More photos will be added for this as interestingly enough it is different to other years. 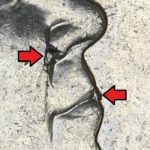 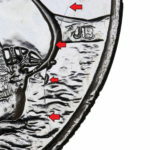 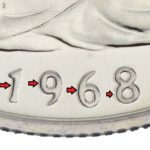 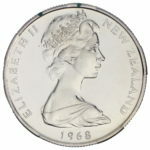 From 1980-1982 the detail of the queen was the same on the 50 cent piece for both circulating and non circulating but not for other denominations. 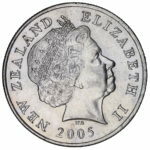 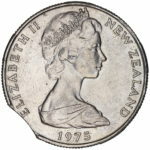 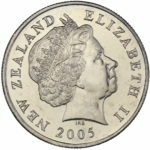 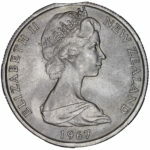 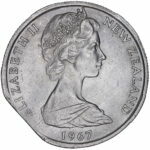 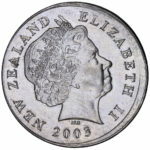 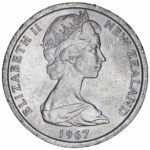 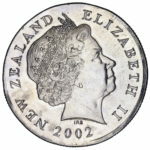 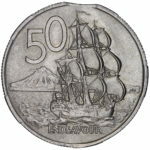 The following Variety was studied in the Numismatic Journal Dec 1998 (N0.76) By Martin McKenzie available from the Royal Numismatic Society of New Zealand. 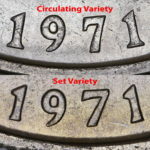 The Difference of this year is this variety on the left appeared on the UNC Sets as well as circulating coins.